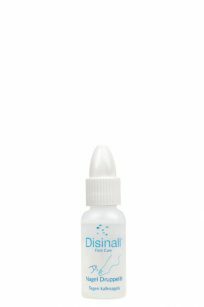 Disinall develops, produces and sells effective products against athlete’s foot and fungal nails, cracked skin, callus and corns. Free shipping to the United Kingdom on orders over €50.00. Orders to most European countries are delivered within 1 – 3 workdays. Get acquainted with the effective treatment for athlete’s foot and fungal nails. Foot Care Package Start consists of an incredibly effective foot bath, a unique all-round foot cream and powerful, active nail drops in a small package. Particularly effective against a variety of foot problems. Intensive Foot Cream XL is a unique all-round foot cream. This natural cream is enriched with highly effective and fragrant ingredients. The bottle has a convenient dosing pump and is ideal for a pedicure practice or home use. Eliminates athlete’s foot, fungal nails and cracked skin immediately. Intensive Foot Bath XL is an incredibly effective all-in-one foot bath. 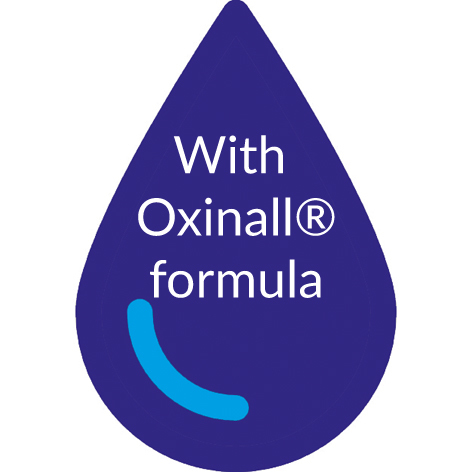 This carefully composed formula contains a powerful combination of natural healing agents. The economical XL bottle contains enough for at least 10 foot baths. Makes hard, thick skin supple and soft. Callus & Corn is an excellent foot bath. This wonderful, relaxing foot bath contains a powerful combination of natural nourishing agents. Enjoy soft and beautiful feet. To treat athlete’s foot, foot odour, and to improve blood flow. Sports is an extremely effective and versatile foot bath. This refreshing foot bath contains a strong combination of natural antimicrobial agents. Sports gives you something extra, even if you don’t do sports. 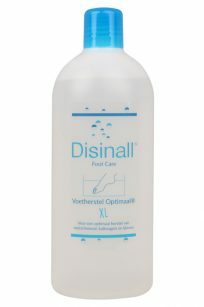 Thanks to their unique and patented technology, Disinall Foot Care products offer an unmatched combination of speed, safety and durability in the cleansing and care of feet and nails. 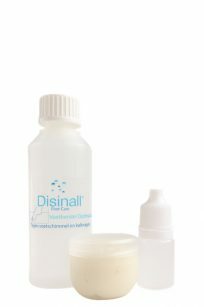 Does Disinall only offer products for athlete's foot and fungal nails? Disinall also has effective products to treat calluses, corns, cracked skin, itching, burning feet, sweaty feet, dry feet and sports feet. Will Disinall Intensive Foot Bath quickly relieve me of athlete's foot and fungal nails? Yes, but the exact duration depends on the severity of the athlete’s foot and fungal nails and your own body. This differs from person to person. Intensive Foot Bath® contains a unique blend of the body’s own and natural agents that destroy fungi and strengthen the immune system. After three weeks (6 x foot bath), most people report a relief of their complaints. If this is not the case, it is advisable to continue the treatment until the symptoms have disappeared. I have trouble with cracked skin. What is the best treatment? Cracked skin appears as areas where the skin has cracked open. This can often be painful, particularly between the toes. The cause of this is either dry skin or damp skin. Dry skin can be exacerbated by dry air or cold wind. The elasticity of the skin is reduced, and this results in cracking. In the case of damp skin, the cracked skin is caused by excessive sweating or as a result of long contact with water. The best treatment for this to combine Intensive Foot Bath® and Intensive Foot Cream®. The foot cream actively combats fungal growth, cracked skin, itching, burning feet, foot odour, calluses and dry, chapped skin. My husband and sons wear their sports shoes all the time. Unfortunately that means that they have terribly sweaty feet. Is there a good Disinall product to prevent or cure this? We recommend a combined treatment of Sports® and Intensive Foot Cream®. In addition, it is also advisable to routinely spray the sports shoes thoroughly with Shoe Deo®. Will Disinall Intensive Foot Bath permanently relieve me of athlete's foot and fungal nails? There is no product that will permanently relieve you of athlete’s foot and fungal nails. Fungi are micro-organisms are present everywhere. We eat and drink and inhale them all day long. They live both in and on our skins. What does Disinall actually do then? Intensive Foot Bath® kills the fungi and strengthens the immune system, which means you are relieved from athlete’s foot and fungal nails for a longer time than with most other products. Where can I buy Disinall? 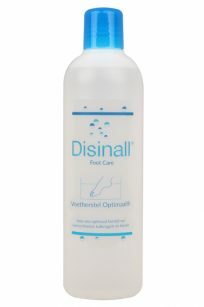 You can order Disinall Foot Care products from the Disinall webshop. The only other places you can buy Disinall products are your pedicurist and pharmacy. They are the professionals that can give you the best advice about our products and foot care. Sports® is the best solution for fit and healthy sports feet.